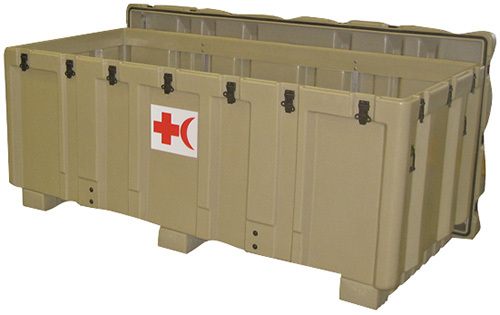 The Ground Ambulance Case is designed to provide maximum protection in any situation. Impervious to weather, temperature and impact, its rotationally molded shell keeps your supplies dry, dust-free and secure. Twenty military grade latches provide a tight seal and extra security, and the molded-in ribs keep stacked cases in place no matter how rough the ride. 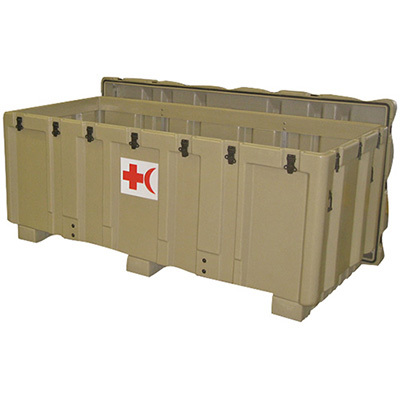 If it's maximum storage and security you seek, then Pelican-Hardigg has your solution with the Ground Ambulance Case.